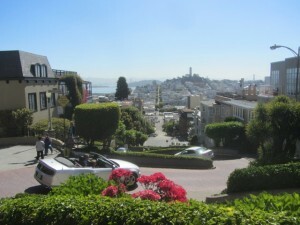 We enjoy the coast road to San Francisco but the GPS delivers us to the wrong end of Lombard Street. It’s on one side of the crooked part of the street and we are on the other. The ride through the city is surprisingly easy – except a small traffic jam where the road was closed for President Obama’s motorcade. Before long the bike is safely tucked away in the car park in time for us to explore the old Cow Hollow area of the city. 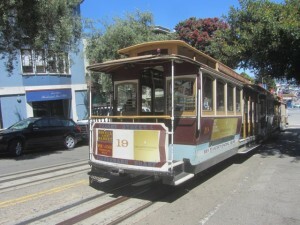 San Francisco is a cool city and easy to get around. 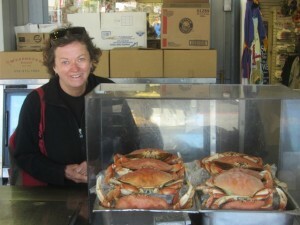 We jumped the trolley car, wandered along Fisherman’s Wharf and enjoyed some good seafood. Before leaving we took the bike down Lombard Street – the guy in the sports car in front of us seemed a little concerned that we were going to end up in his boot. 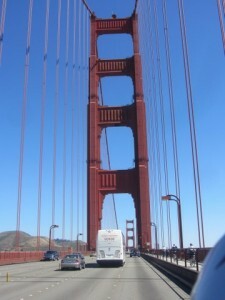 We rode across the Golden Gate Bridge and were blessed with a clear, calm day. Some days the bridge is shrouded in fog or beset by strong winds. The last time we visited Muir Woods it was cold and wet. 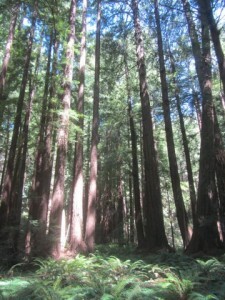 This day it was warm and sunny and the enormous Redwoods were an awe inspiring site. These trees can reach over 1,000 years old. 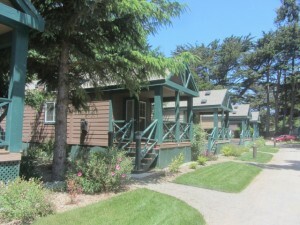 A quick run through the Napa Valley and then we are back on the coast heading to Point Arena. 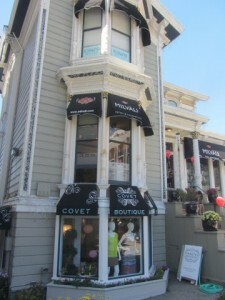 We hit Highway 1 – and it is a hidden gem. 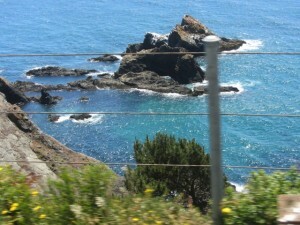 Everyone, us included, raves about the Big Sur. 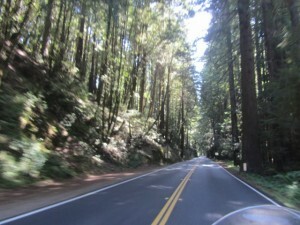 Highway 1 north of San Francisco is even better and magnificent for motorcycles. The coastline is rugged, the winds whip up the whitecaps and the waves crash against the rocks. Wow. 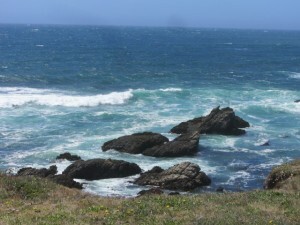 We take a week off the bike at Point Arena , about 200 ks north of San Francisco and right on the coast. It’s cool but we have sunny days to explore the majestic coastline. It seems like every corner we turn has another breathtaking vista. 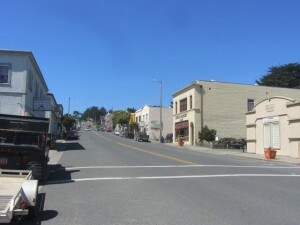 The tiny towns along this part of the road are home to hippies and retirees who enjoy the isolation and the great outdoors. The supermarkets carry predominantly organic produce. Our week off the bike comes to an end quickly – it’s recharged our batteries and we are ready for the next part of our journey…and this will include camping for the first time. We’ve invested in some good sleeping bags and a tent. It will be an yet another adventure. Wow camping gear. That sure is a twist! Never thought I would see the day. Watch out for bears and rodents.